Unofficial results in the special election to fill U.S. House Speaker John Boehner's empty seat in Congress are now in, but it turns out not many Ohioans could be bothered to head out to polls . 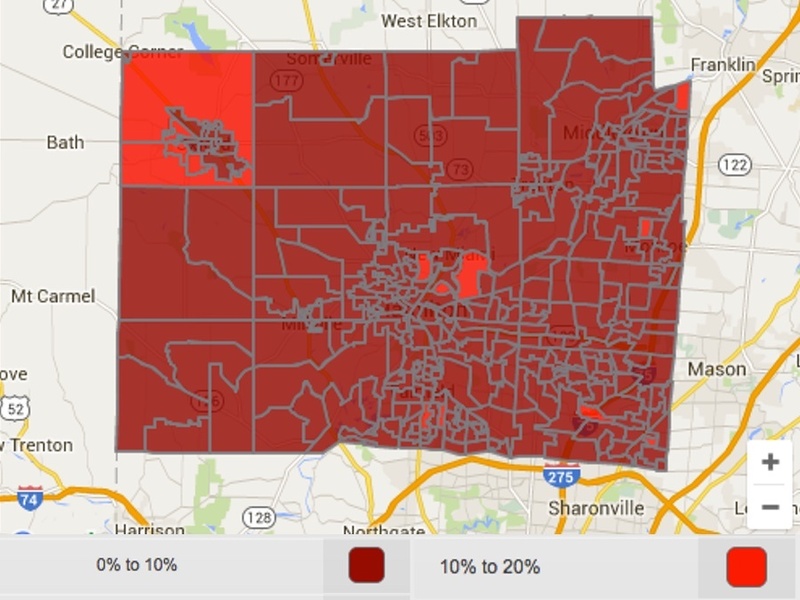 Only 5.97 percent of registered voters from Ohio's 8th Congressional District participated. That's 28,117 voters of 471,273 from Butler, Clark, Darke, Mercer, Miami and Preble counties, according to Ohio's Secretary of State Jon Husted. Republican Warren Davidson dominated Democrat opponent Corey Foister and Green Party candidate Jim Condit Jr. to win nearly 77 percent of the vote and complete Boehner's term, which ends Jan. 3, 2017. Diane Noonan, Butler County elections director, told the Associated Press she expected low turnout with no other races or issues on the ballot, but she was still dismayed at the single-digit figures. Butler County had only 4.87 percent of registered voters turn up at polling places. "There are a lot of excuses, but this is for Congress," Noonan said. "It's not like this is a small election." Only 4.87 percent of registered voters in Butler County turned out for Tuesday's special election to fill John Boehner's seat in Congress. The full breakdown of voter turnout county-by-county in the chart below is unofficial and provides a snapshot until the final results are certified in the weeks following the election. Visit the website here for more details on the election results.